Internationally renowned, award-winning theoretical physicist, New York Times bestselling author of A Universe from Nothing, and passionate advocate for reason, Lawrence Krauss tells the dramatic story of the discovery of the hidden world of reality—a grand poetic vision of nature—and how we find our place within it. In A Universe from Nothing, Krauss revealed how our entire universe could arise from nothing. Now, he reveals what that something—reality—is. And, reality is not what we think or sense—it’s weird, wild, and counterintuitive; it’s hidden beneath everyday experience; and its inner workings seem even stranger than the idea that something can come from nothing. In a landmark, unprecedented work of scientific history, Krauss leads us to the furthest reaches of space and time, to scales so small they are invisible to microscopes, to the birth and rebirth of light, and into the natural forces that govern our existence. 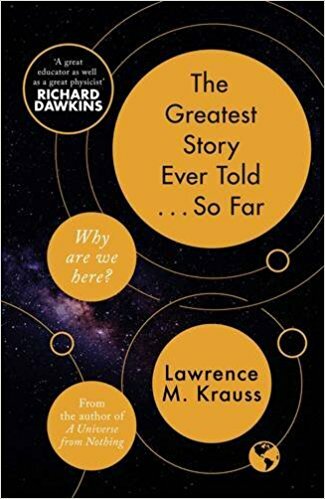 His unique blend of rigorous research and engaging storytelling invites us into the lives and minds of the remarkable, creative scientists who have helped to unravel the unexpected fabric of reality—with reason rather than superstition and dogma. Krauss has himself been an active participant in this effort, and he knows many of them well. The Greatest Story challenges us to re-envision ourselves and our place within the universe, as it appears that “God” does play dice with the universe. In the incisive style of his scintillating essays for The New Yorker, Krauss celebrates the greatest intellectual adventure ever undertaken—to understand why we are here in a universe where fact is stranger than fiction.